INTERNATIONAL SNAPSHOT: World's best wooden building; Stunning modern construction in NZ; Greenland's "humane prison"
Let's take a look at some of the world's latest innovations in architecture and design. A French theatre which was attacked by far-right vandals has been named the world's best wooden building, beating an acclaimed Norman Foster cancer care centre to the prize. The Hardelot Elizabethan Theatre near Boulogne on the English Channel coast had been praised as "a masterpiece... magnetic in the manner of the Bilbao Guggenheim" by the architectural press, with French news weekly L'Obs commenting, "if the exterior is astonishing, the interior is an enchantment." However, days before its completion, the theatre was sprayed with graffiti in an attack blamed on far-right activists who called it a "carbuncle" and questioned its cost in the run-up to elections in 2016. Black Door House, an energy-efficient house designed by Max Capocaccia of MC Architecture Studio, has won the World Architecture News Award for Modern Method of Construction. The house sits “entrenched into the natural contours of the hills, sitting high and looking out over the ocean [and] is a bold sculpture that balances the articulate features, linear proportions and soft curves to become an architectural art piece,” says the architect. The house uses passive design principles, for example a glass frontage which is covered by a large eave facing north-north west. This allows the sun to warm the house’s polished concrete floor in winter while blocking it in summer. 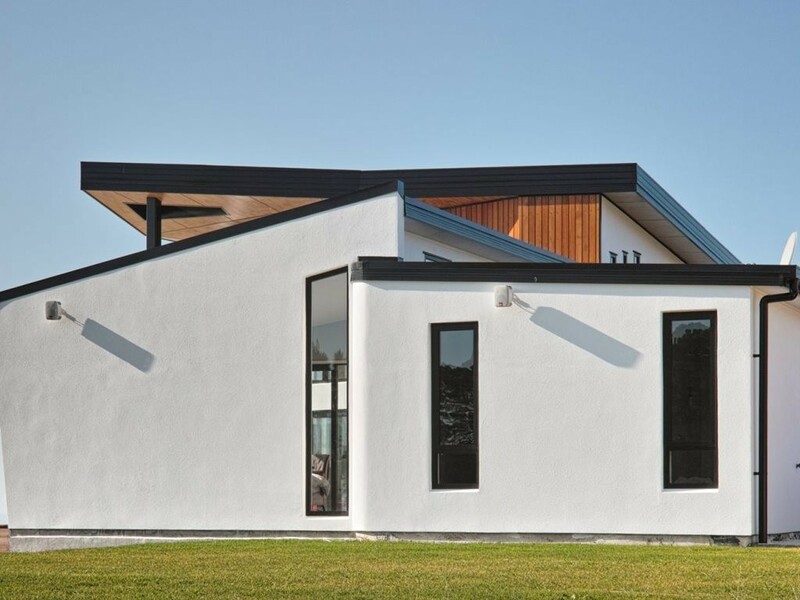 The structure of the walls and roof also provide a sound thermal envelope through the use of structurally insulated panels, creating a warm and energy-efficient living environment. Greenland architecture firm Schmidt Hammer Lassen Architects has designed a "humane prison" for Nuuk, Greenland, which highlights the contrast between beauty and roughness. "Openness, light, views, security and flexibility are the leading values behind the design of the first such facility in the capital of Greenland. The belief that the physical surroundings have an important impact on human behaviour and the will to collaborate has motivated the client to initiate a project of high architectural quality. "The project consists of five residential units with rooms for 76 inmates, in both a ‘closed’ and an ‘open’ section. The design of the residential units offers an experience of the changing daylight and the surroundings. A panoramic window in the common lounge area carries nature into each residential unit, and the inmates have an unrestricted view towards the landscape from the windows in their cells.